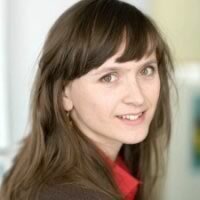 Merel Noorman will be joining the eHumanties group in August 2013 to work on the RECODE project. She studied artificial intelligence (AI) and science & technology studies (STS) at the University of Amsterdam and Edinburgh University and received her PhD from Maastricht University. In her dissertation she looked at the social and ethical aspects of artificial agent research and development. Before joining the eHumanites group she was a postdoctoral research associate in the Science, Technology and Society Program at the University of Virginia, where she worked on research project that looked at how responsibility practices take shape as part of the development and use of intelligent computer technologies. Noorman also worked for three years as an advisor to the Dutch Council for Social Development (Raad voor Maatschappelijke Ontwikkeling), which advises the Dutch Government on social issues.